After bulking up over the winter you’ll soon be thinking about moving into your cutting phase. You’ve heard that a strong shred will give you the body that you are after but you don’t want to lose the muscle you’ve worked so hard for. In order to retain your leanness over the next few months it’s important that you follow the right advice. Previously, it was accepted that losing mass was inevitable and just part of the process. But that’s not the case. Getting shredded doesn’t mean losing that muscle you’ve worked so hard to build. Follow our 5 tips and you’ll soon be looking your best ever. First of all, in order to lose fat mass you’ll need to be taking in less calories than you’re burning off. This is referred to as negative energy balance, or calorie deficit. To ensure you get your deficit just right you’ll need to calculate your overall daily energy needs. Without this you’re flying blind and might lose more muscle than you need to. A good place to start would be the Instant Knockout Calorie Counter. Based on this evidence-based algorithm, you’ll reliably calculate your calorie needs. Inputting your statistics and activity levels will give you a precise TDEE – total daily energy expenditure. This is essentially the number of calories you’ll need to obtain in order to maintain body weight and fat levels. Now this is the key. To hit a deficit you’ll need to reduce this number. But reduce it by no more than 20% – roughly 500 kcal. If you clicked fat loss on our calculator, your TDEE will be automatically calculated with a 20% deficit, so all of the work has been done for you. A modest calorie deficit will allow you to lose fat, but at the same time preserve as much muscle as possible. Try this for a couple of weeks and once you hit a plateau, use the calculator again and input your new weight. This will give you an up-to-date TDEE and you can go again from there. Once you’ve calculated your deficit, the next thing to do is work out your macros. Macros refers to macronutrients – namely carbs, protein and fat. The most important of the three here is protein. As the main nutrient responsible for regulating muscle mass, the right amount of protein per day will help you retain muscle cells – which in turn help to maintain your metabolism. Aiming for 1.8-2.0g per kilogram of body weight each day  will optimize the production of new muscle cells, whilst at the same time minimizing protein loss. Too little and you run the risk of not fuelling your muscles. Not only does a high protein diet maintain muscle mass, it also slows digestion and improves satiety. Protein has the highest thermal effect of food of all macronutrients and takes a lot of energy to digest it. Because of this, it has an appetite-suppressing effect on the body that will help you to feel fuller for longer. The single most important part of your training during a shred is weight training. If you aren’t lifting, you’re losing. If your fear is that you’ll lose muscle, fight back by limiting muscle breakdown. Whilst you’ll find it hard to add bulk in a calorie deficit, adding weight training into your program will help to maintain the muscle you do have. 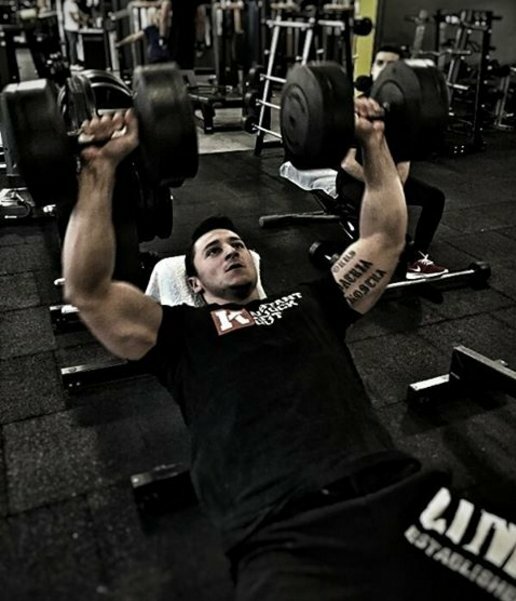 Keep your sessions brief and include big, compound exercises that allow you to lift heavy. These exercises stimulate more muscle in less time, so boost productivity during times of potential fatigue. When you’re on a cut you’ll get tired quickly so the shorter your sessions the better. The subsequent release of testosterone, growth hormone and other growth factors will help to keep mass on your frame . Aim for progressive overload but don’t expect to be getting much stronger on a cut. If you’re in a deficit and you’ve upped your protein then something has to give somewhere. Fat is important during a shred as it helps to regulate steroid hormone production. So that only leaves carbs. By reducing carb calories you’ll lose water weight quite quickly. Whilst this won’t boost fat loss it will help you to start seeing definition quite quickly. A low carb diet can leave you feeling drained and lethargic though. As a result, your training sessions will quickly suffer if you aren’t clever about how you use the few carbs you have in your diet. By implementing a carb cycling approach where you eat more carbs on heavy training days and less on rest days helps to get around this. Eating a small amount of carbs pre-workout ensures you have enough energy to complete a high-quality workout, and more post-workout allows good recovery to take place. Most of all, when choosing your carbs you should aim for fiber-rich, good quality sources that are low in calories. This will allow sustainable energy whilst reducing glycemic index and subsequent energy slump. It’s not just about exercise and nutrition. Your lifestyle can really affect your physique during a cut too. You’ll be eating less and exercising more and as a result you’ll feel tired regularly. If you want to maintain muscle mass during cutting then get enough sleep. In fact, get as much sleep as you can. A lack of rest will soon limit your athletic performance, emotional well-being and reduce your immune system too. Research shows that those who limit their sleep also have increased cortisol levels – the prime hormone for chipping away muscle and boosting belly fat . Furthermore, cortisol activates transmitters in the brain that trigger hunger – and you’ll particularly crave sugary, high-calorie foods too. How Do You Lose Weight Without Losing Muscle?